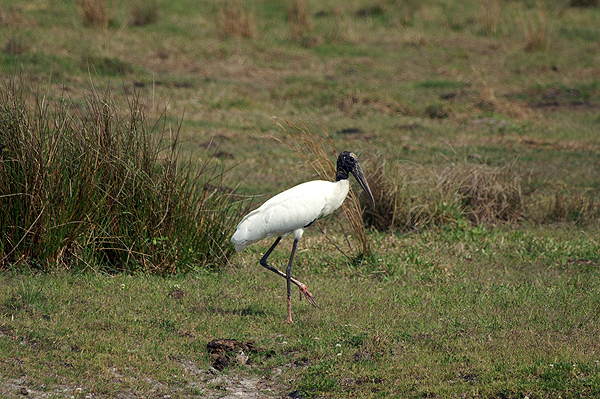 This wood stork, Mycteria americana, is strolling along a shallow pond. Wood storks fish by wading along running their beak through the water and grabbing any fish that they feel. Ponds that are drying up with a concentrated fish population is their favorite fishing spot. This entry was posted on Monday, May 28th, 2012 at 11:30 am. It is filed under Animals / Wildlife, New Images and tagged with bird, grey, large, Mycteria americana, predatory, walking, white, wood stork. You can follow any responses to this entry through the RSS 2.0 feed.